YOUR INTENSIVE CARE HOTLINE - RIP Alfie Evans! What families in Intensive Care can learn from the Alfie Evans case! RIP Alfie Evans! What families in Intensive Care can learn from the Alfie Evans case! Courts in the UK and the NHS are killing babies before they had a chance to live! In this week’s blog I want to discuss the death of the high profile Alfie Evan’s case and the lessons families in Intensive Care can learn from it! If you haven’t heard about the recent Alfie Evans case who was an in-patient in the Paediatric Intensive Care Unit at Alder Hey in Liverpool in the UK from December 2016 until April 28th 2018 you need to inform yourself about the case! There are so many lessons in what Alfie and his tremendously brave and fearless parents Kate James and Thomas Evans have been going through! To give you the short version of Alfie’s story, Alfie was born on May 9th in 2016 in Liverpool in the UK and after about 7 months of his young life he was admitted to PICU at Alder Hey in Liverpool with respiratory problems. He ended up ventilated with a breathing tube and he was denied a tracheostomy, which would have been best practice. Up until Monday 22nd April 2018 he remained ventilated with a breathing tube and he died after 5 days of having life support removed against the wishes of his parents and probably against the wishes of the rest of the world. Alfie and his loving parents had gathered massive international and local support to stop Alder Hey from killing their child and there are so many lessons in this that you can learn from, if you have a loved one in Intensive Care who’s in a life threatening situation. But first, let’s quickly look again at Alfie and why he was in PICU. Alfie throughout his whole stay in PICU remained undiagnosed with an unknown neurological condition that apparently “had destroyed” some of his brain. Alfie had regular seizures and he was at least partially on anti-seizure medications throughout his PICU stay at Alder Hey. The Hospital claimed that Alfie remained unresponsive throughout his stay in PICU and that it was “in the best interest” for Alfie to have life support removed and that he should die. The interesting part of the story is that Tom Evans, Alfie’s Dad recorded countless videos and shared them on Facebook with his supporters in the Facebook group “Alfie’s Army”. The videos clearly show that Alfie is responding to his Mom’s or Dad’s or his uncle’s voice and touch with eye opening or grimacing. 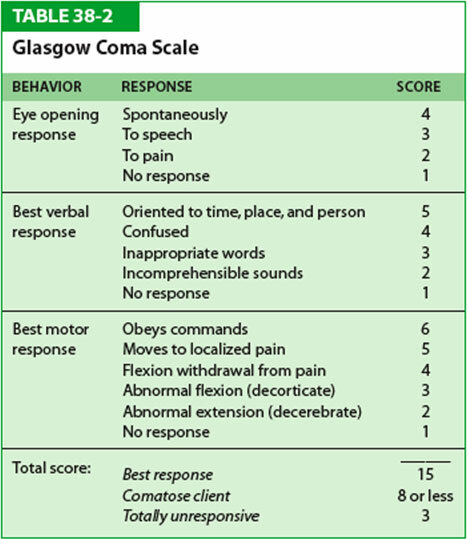 We also have evidence that Alfie’s Glasgow Coma Scale was up to a score of 9 while the hospital was already trying to discuss an “end of life” plan with Alfie’s parents. That means Alfie was comatose but not unresponsive, which is what the hospital claimed. The hospital and the courts claimed that Alfie was in a vegetative state and that therefore it was “in his best interest” to die. For those of you who followed the high-profile case in the media in recent weeks and recent months, you would have seen some similarities with last year’s Charlie Gard case also in the UK. As Alder Hey Hospital in Liverpool was trying to put more and more pressure on Alfie’s parents to agree to a “withdrawal of treatment” as being “in the best interest” the situation was becoming more and more tense. The hospital and family disagreed over Alfie’s treatment, with his parents saying that the hospital applied to the High Court to remove parental rights and withdraw ventilation. After many months of fiercely battling with the courts and the hospital, the parents had “lost” all fights with the courts and the courts, in particular Justice Anthony Hayden was ruling in favour of the hospital that they could kill Alfie without needing the parents’ permission. It is important to notice that Justice Hayden is the same person who also ruled in favour of Great Ormond Street PICU in London to kill Baby Charlie Gard last year and he also approved the killing of Baby Isaiah earlier this year. Justice Hayden by now approved the killing of three innocent babies, whilst trying to ridicule Alfie’s parents publicly. But Alder Hey PICU as well as the UK court system and Justice Hayden underestimated Alfie’s parents and the 600,000 supporters they had gathered on Facebook to fight for their little boy! They also underestimated the support Alfie and his parents were gathering from religious groups and from the catholic church in particular. It went as far as Alfie’s Dad meeting the Pope earlier last month and the Pope was offering to fly Alfie to Rome to continue treatment in a hospital in Rome. In the meantime another hospital in Munich/Germany offered Alfie treatment and give him a tracheostomy that would have prolonged his precious life. A tracheostomy would have also given Alfie the opportunity to go home with INTENSIVE CARE AT HOME services. It was a fight on knife’s edge with neither side ready to give in. The situation probably peaked again when Alfie’s Dad claimed that he had every right to take his son home since the courts decided that Alder Hey was allowed to kill Alfie. Alfie’s parents went back to court again to get approval to take their son home and the courts again ruled in favour of the NHS and the hospital to continue keeping Alfie hostage with the goal of killing him. In the meantime, Alfie’s Dad Tom literally rallied the troops so to speak and he asked for peaceful protesting of “Alfie’s Army” at Alder Hey hospital. Within an hour of his appeal on Facebook, hundreds of supporters of “Alfie’s Army” flogged to the Hospital and started to protest peacefully to save Alfie’s life. They continued to protest until Thursday 27th April 2018 when Tom Evans asked for the protests to stop! During all these events, Alfie was granted Italian citizenship to open up the possibility to fly him to Rome to continue palliative care treatment there, give him a tracheostomy and take him home. It would have been the right thing to do. In the end the National Health service and the courts in the UK were trying to manage their financial budgets because the cheapest option for them was to kill Alfie. Even though money was probably one of the main drivers for Alder Hey, the NHS as well as the UK government who seemed to be represented by Justice Hayden, it was much more than just a discussion about how to limit the spending on a severely disabled child. It was getting much more ideological than that in the end. It looked like it was almost two worlds colliding, one side the pro-life supporters including many Christians and the other side were the “pro-euthanasia” supporters. In the end however, you don’t have to be a practicing Christian to be pro-life and do the right things. Who in their right mind would agree for anyone to have their child killed or euthanised against their wishes? But if the courts and the NHS wanted to set another precedent just like they did with Charlie Gard in August 2017 they failed miserably once again. They completely underestimated Alfie’s parents and their determination, they completely underestimated and misjudged public opinion and they completely underestimated the support Alfie and his family had gathered by now! Power to the people! Yes, in the end Alfie died and at the time of this article we don’t know what exactly killed him. We also don’t know if he could have lived if he had gone to Rome or to Munich to hospitals that would have continued treating Alfie and prolonged his life. By the way, money was not the issue, the family raised more than enough funds to pay for everything going forward and they raised enough money through “Alfie’s Army” and through other channels. 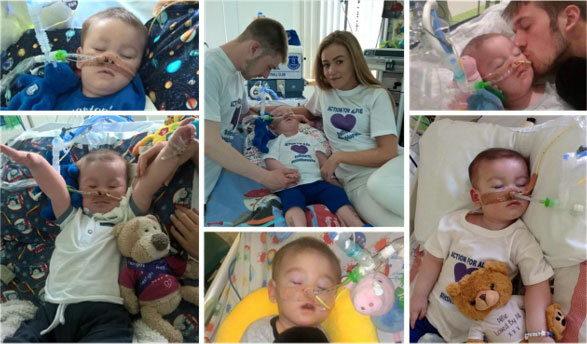 Besides the courts, the NHS and Alder Hey “succeeding” in killing baby Alfie, Alfie’s family succeeded in paving the way for the next “Baby Alfie”. Given that the family gained so much local and international support in their fight for doing the right thing for their child and saving Baby Alfie, whenever the next similar situation occurs either in the UK or elsewhere, the courts as well as the hospitals will think twice before they try and kill or euthanize a Patient. The good news is that in this day and age with the internet and with social media the “perceived power” and “perceived authority” of doctors and hospitals are dwindling rapidly and doctors and nurses constantly need to be reminded why they became health professionals. They hopefully became health professionals to help vulnerable people in need and not to kill them especially if they could have been saved. We don’t know if Alfie would have survived, but by not trying and by not giving Alfie the chance to live, Alder Hey, the NHS and the UK court system have failed miserably. The real winner here is public opinion and not a small perceived “elite minority” trying to play god. I’m still in shock that doctors as well as Registered Nurses at Alder Hey didn’t support Alfie Evans and his truly inspirational and fearless parents. They could have done so just by looking at their respective code of conducts and their code of ethics in their respective professions. The aforementioned professional, legal and ethical frameworks and guidelines would have enabled them to protect Alfie and his parents. It’s extremely disappointing that those health professionals have chosen not to act within their professional, legal, moral and ethical obligations and that they have chosen to condemn Alfie to death. When an Intensive Care Unit is failing one of their families! A real life case study! 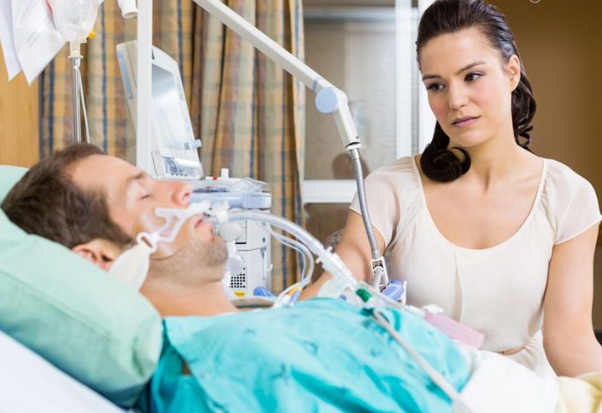 The 9 myths of being a critically ill Patient in Intensive Care revealed! (PART 2) The 7 things families do who make informed decisions have PEACE OF MIND, are in control, have power and have influence, whilst their loved one is critically ill in Intensive Care! 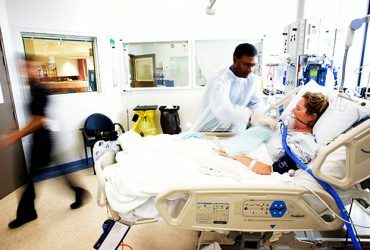 (PART 3) The 7 things families do who make informed decisions have PEACE OF MIND, are in control, have power and have influence, whilst their loved one is critically ill in Intensive Care! (PART 4) Interview with Ileana whose mother passed away in LTAC after ICU stay!